Angers continue to struggle in the 2018/2019 Ligue 1 campaign. Following back-to-back losses to the likes of Nimes and Rennes, Angers were, as expected, beaten by PSG at Parc des Princes in their last league match. 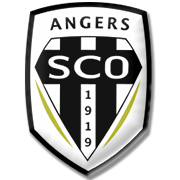 Les Scoistes are eager to give fans some cheer and we predict that they are going to adopt an attack-minded approach in Saturday’s football match against Lille Over the years Angers have turned their Stade Raymond-Kopa into a real fortress and we are positive that they are going to grab something from the game. Les Dogues, on the other hand, did well to hold Monaco to a goalless draw in their last away game in the national championship, which is giving their fans a reason for optimism ahead of the trip to Angers. A close encounter is on the horizon and we are positive that the two sides are going to share the spoils at Stade Raymond-Kopa. Romain Thomas is a product of Brest football academy and he made three appearances for the first team during his spell at Stade Francis-Le Bie. Thomas spent the 2008/2009 season on loan at Pacy Vallee-d’Eure and in 2010 he moved to lower-league side USJA Carquefou. After spending three seasons at the club the 193-cm-tall defender, who is very good in the air, moved to Angers. Romain Thomas quickly established himself as a first team regular at the club and you should know that he made 36 appearances for the Ligue 1 side in the 2016/2017 season. Despite playing as a defender, the French footballer often finds the net and he scored his first goal for Angers on September 27, 2013 in a 1-1 draw with Tours. The centre-back, whose preferred foot is right, was born in Landerneau, France on June 12, 1988. Romain Thomas’ contract with les Scoistes expires on June 30, 2019. Lille have been playing an important role in French football ever since they were founded in 1944. Les Dogues won their first domestic trophy in the 1945/1946 season. Lille did well to win their second Ligue 1 title in 1954 and 57 years later they lifted their last domestic title. Les Douges finished the 2010/2011 season in top position in the standings, eight points clear of second-placed Olympique Marseille and it has to be noted that Lille attacker Moussa Sow won the Golden Boot (25 goals). Lille are one of the two teams that managed to win three consecutive Coupe de France trophies (1946, 1947, 1948), but they have yet to clinch the Coupe de la Ligue title. Les Dogues faced PSG in the 2015/2016 Coupe de la Ligue trophy, but les Parisiens proved to be a big catch for Frederic Antonetti’s team in the title game. Lille play their home matches at Stade Pierre-Mauroy and the capacity of the stadium is 50.186. The venue was opened in August, 2017 and the construction cost €282 million.